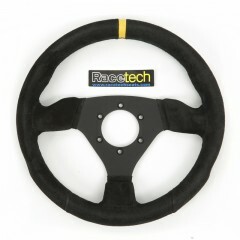 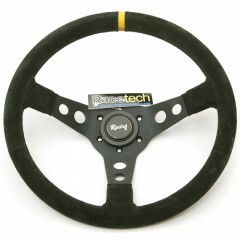 3-spoke motorsport wheel in black leather with comfortable anatomical grip. 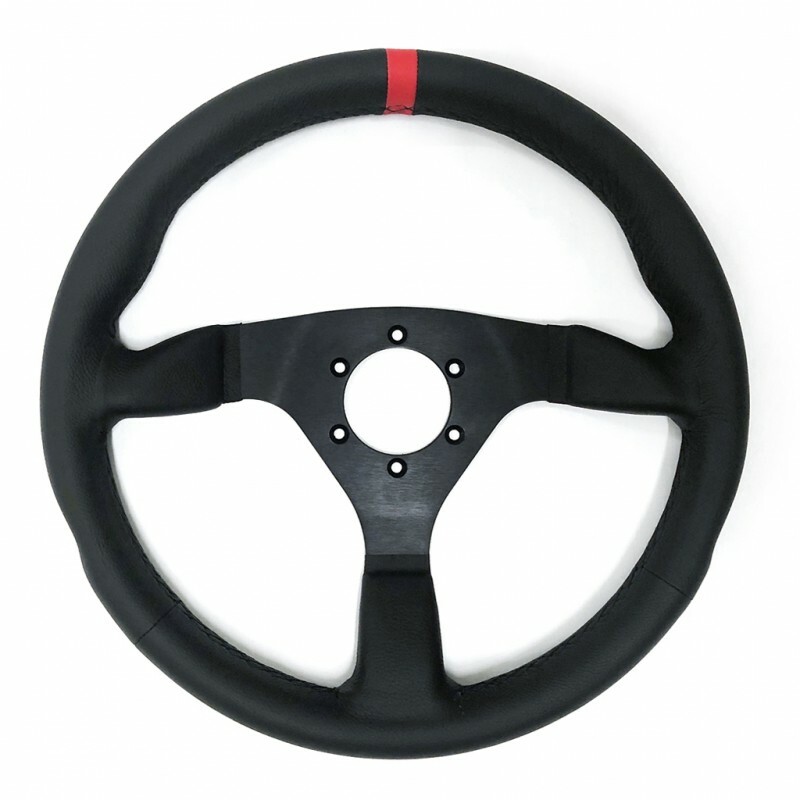 Designed for both circuit/track racing or street use. 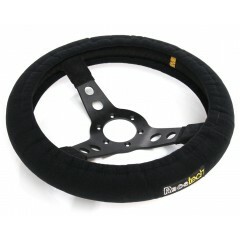 Available in 350mm diameter. Standard 6-hole mounting pattern fits most Lifeline, Momo,NRG, OMP, Sparco boss kits.